Black Lives Matter (BLM) is an international activist movement, originating in the African-American community, that campaigns against violence and systemic racism toward black people. BLM regularly holds protests against police killings of black people and broader issues of racial profiling, police brutality, and perceived racial inequality in the United States criminal justice system. 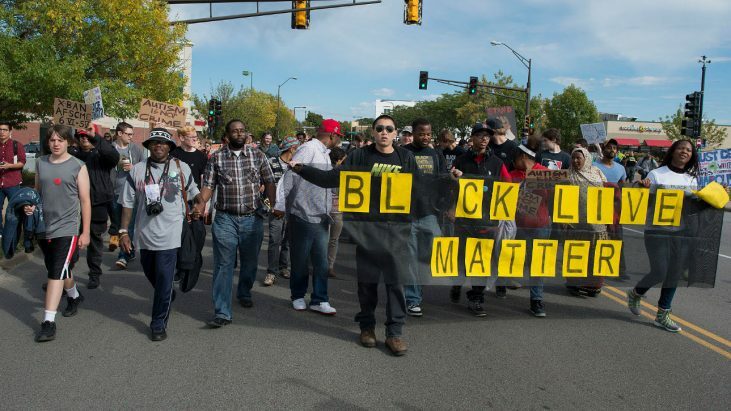 In 2013, the movement began with the use of the hashtag #BlackLivesMatter on social media, after the acquittal of George Zimmerman in the shooting death of African-American teen Trayvon Martin. Black Lives Matter became nationally recognized for its street demonstrations following the 2014 deaths of two African Americans: Michael Brown, resulting in protests and unrest in Ferguson, and Eric Garner in New York City. Since the Ferguson protests, participants in the movement have demonstrated against the deaths of numerous other African Americans by police actions or while in police custody. In the summer of 2015, Black Lives Matter activists became involved in the 2016 United States presidential election. The originators of the hashtag and call to action, Alicia Garza, Patrisse Cullors, and Opal Tometi, expanded their project into a national network of over 30 local chapters between 2014 and 2016. The overall Black Lives Matter movement, however, is a decentralized network and has no formal hierarchy. Black Lives Matter has also been criticized. Some black civil rights leaders have criticized the tactics of BLM. Some critics accuse Black Lives Matter of being anti-police, and question the statistics provided by BLM activists regarding the rate at which black people are killed by police. Other criticisms include: BLM’s lack of focus on intra-racial violence, allegations of racism and sexism, and criticism of the policy statements laid out by the Movement for Black Lives. There have been many reactions to the Black Lives Matter movement. 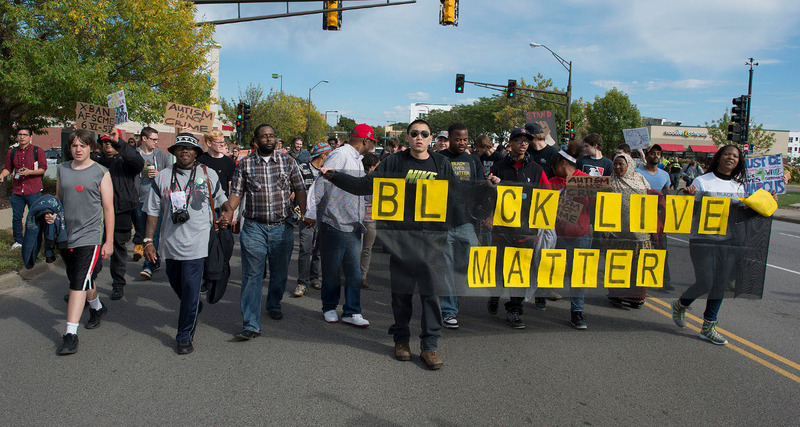 The U.S. population’s perception of Black Lives Matter varies considerably by race. The phrase “All Lives Matter” sprang up as a response to the Black Lives Matter movement. However, “All Lives Matter” has been criticized for dismissing or misunderstanding the message of “Black Lives Matter”. Following the shooting of two police officers in Ferguson, the hashtag Blue Lives Matter was created by supporters of the police. The following are documents, released by the Federal Bureau of Investigation (FBI), and their assistance to local law enforcement during the time of BLM protests in Jacksonville and Oklahoma City .